According to the Legatum Institute’s Prosperity Index of 2018, Nigeria is seventh worst in the world in basic health, health infrastructure and preventative care, just ahead of war-torn Central African Republic and the Democratic Republic of Congo (DRC). This picture of our healthcare is hard to reconcile with Nigeria’s current status as Africa’s largest economy. In my regular visits to rural areas of Nigeria to run medical clinics, I often encounter children severely dehydrated from diarrhoea. These children are terribly weak, frail and sometimes unconscious. Sadly, diarrhoeal disease is still one of the leading causes of childhood deaths across the country. We know that diarrhoea is prevented through education about safe water, handwashing and sanitation, and is treatable with simple medicines. However, many Nigerian families lack even basic health knowledge, sanitation or the money for medicines. A majority of the population lives on less than US$1.25 per day, yet nearly all healthcare is paid for privately. It is not unusual for Nigerian patients to sell their possessions to pay for medicine and I have often seen patients’ relatives in hospital car parks begging passers-by for help. This is time spent away from school, work and business. In other words, health crises often bring life to a shuddering halt for whole families. 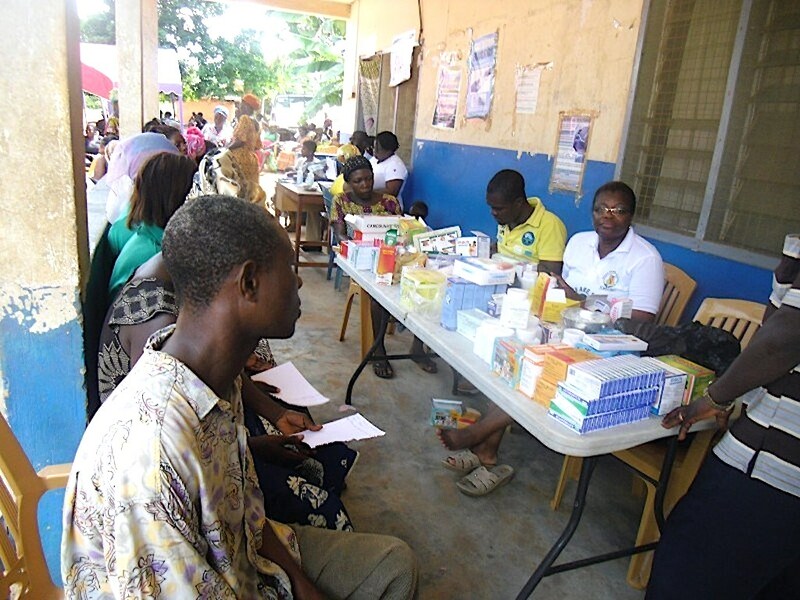 Over 70 percent of Nigeria’s 195 million people live in rural areas with little or no access to primary healthcare. This means that most people receive poor treatment or no treatment at all for road traffic accidents, malaria, HIV, chest infections, heart disease, diarrhoea and complications from pregnancy and childbirth. These ailments, which are Nigeria’s leading causes of death, are almost all preventable or treatable. Sadder still, we lead the world in maternal mortality. One in five women who dies in childbirth worldwide is Nigerian and Bill Gates recently described my country as “the most dangerous place in the world to give birth”. This is why accessible, affordable healthcare is a top priority for Nigerians, according to polls conducted by Nigeria Health Watch and NOI Polls, and was a top talking point for candidates in the recent general elections. However, almost as consistently, health takes a back seat once the election season ends, despite emphasis by the World Bank and World Economic Forum on the importance of investing in “human capital” through health and education. Typically, the federal government spends less than 6 per cent of the national budget on health and only a tiny fraction of that on primary healthcare. At the state and local levels, this is an even more dismal 1-3 per cent. World Health Day is approaching (April 7) and its theme is universal health coverage. Nigeria’s state and federal governments could make the day a truly meaningful one by pledging to invest at least 15 per cent of future national budgets on health and 60 per cent of that total on primary care. However, recently we’re seeing signs that things might be different this time. The recent roll-out of the Basic Healthcare Provision Fund and a federal government plan to revive 10,000 primary healthcare facilities across Nigeria is a welcome departure from this pattern and a source of hope for under-served populations, even if we still have a long way to go. The 2019 allocation to healthcare is 4.1 per cent of the national budget. Just over a quarter of that will go to primary healthcare – mainly for the Basic Healthcare Provision Fund and childhood vaccines – adding up to approximately N82 billion (US$228 million). This hefty allocation for primary care sends a strong message about government’s recognition of basic healthcare as a critical path to development. However, it falls short of the Abuja Declaration of 2001, which committed signatories to spend not less than 15 per cent of national budgets on healthcare. Nigeria’s commitments under the UN-agreed Sustainable Development Goals to end epidemics like Ebola and Lassa Fever and substantially reduce deaths and illnesses by the year 2030 will also require more spending. The first step towards improving the health system has been taken with the release of the budgeted funds. Now we must ensure that the money is well spent. Too often, where primary care centres have been built, they are under-staffed, lack essential medicines or are abandoned shortly after commissioning. More robust primary care centres can deliver excellent returns in terms of lives saved. They will also serve as strong support bases for the new specialist hospitals and “centres of excellence” that have dominated recent spending, by ensuring early detection and referrals for diseases like cancer. International donors, including the Bill and Melinda Gates Foundation and Christian Aid, have identified primary healthcare as a major focus of their funding commitments to Nigeria over the next few years, targeting common diseases and childhood vaccinations. While very welcome, this aid cannot replace government investment and our own responsibility for building a better health system for all Nigerians. World Health Day is approaching (April 7) and its theme is universal health coverage. Nigeria’s state and federal governments could make the day a truly meaningful one by pledging to invest at least 15 per cent of future national budgets on health and 60 per cent of that total on primary care. As Nigerian citizens, we must also insist that our leaders keep the goal of affordable, universal healthcare at the top of the agenda. If this is not done, I fear I will continue to see too many children with preventable diarrhoea, and we will all continue to see millions of Nigerians suffering and dying needlessly from preventable and treatable ailments. Adaeze Oreh, a family physician, public health expert and advocate for affordable universal healthcare for all Nigerians, is a 2019 Aspen New Voices Fellow.